Pinterest! It is the hottest social media whatever the hell it is out there. Is there a Pinterest button on this site yet? (No? Jeremy, please get on that!) Because Pinterest should be everywhere, and everything should be Pinterest. Journalists! If you are writing a story about something, and you do not mention Pinterest, what are you thinking, really? I don’t care what your story is about, you still need to mention Pinterest. Steve Jobs? Mention Pinterest! Mitt Romney? 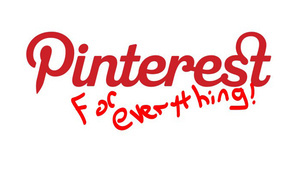 Mention Pinterest! Genocide? Mention Pinterest! What do you mean that’s in poor taste? Mention it, Goddamn you! Mention Pinterest! 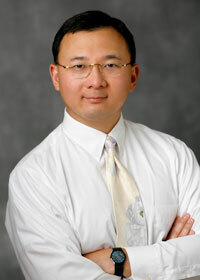 Linterest: Pinterest for Jeremy Lin! Grooblin: Pinterest for social events! Currently Obsessed: Pinterest for Stalkers! By now, we’ve become accustomed to the circus of elite advertising that takes place during America’s biggest game, and this year was no exception. 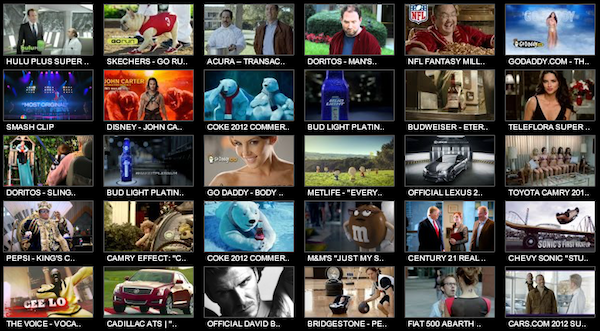 Last night’s Super Bowl made room for over 50 commercials during its air time, some of which included the likes of Samsung’s whopping Galaxy Note, the usual Go Daddy domain teasers, a bit of Best Buy “innovation” and the Hulu Plus Mushy Mush campaign, just to mention a few. 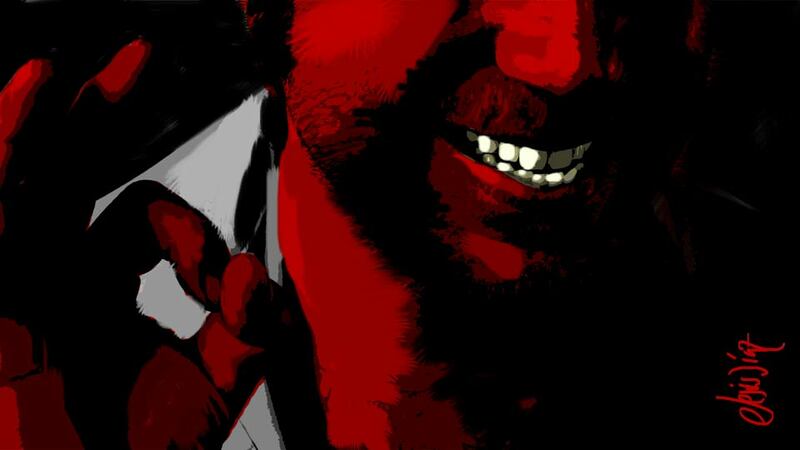 Needless to say, we put together a small collection of some we believe you might enjoy, so take a virtual jump past the break to catch the big-ticket advertising in action. You can also find the rest of the ad pack at the source link below. Super Bowl 2012 Ad Roundup: Galaxy Note, Hulu Plus, Best Buy and more originally appeared on Engadget on Mon, 06 Feb 2012 12:21:00 EDT. Please see our terms for use of feeds. In a war zone, a standard mobile phone, with its countless possible security flaws, is no use — which is why the military doesn’t rely on them. But now that’s changing, as the US military is investing in secure Android handsets. It’s not the first time we’ve heard about the army handing out smart phones — hell, they even run competitions to develop apps. But CNN is reporting that the US military is, after two years of testing, intending to “install its custom software on commercially available phones.” It’s starting out with a custom modification of Android’s kernel. The ideas is to give fine-grained control over data, applications and information transmission, as well as providing officials with detailed usage feedback. We touched on the numbers in our report on Apple’s Q1 earnings, but the company’s throwing out a lot of “record” figures so we thought we’d take a moment to focus on just how its hardware sales stack up. The standout number is, of course, the 37.04 million iPhones sold during the quarter, which is up 128 percent from the same quarter a year ago (and up from 17 million in the previous quarter, a jump of 117 percent). 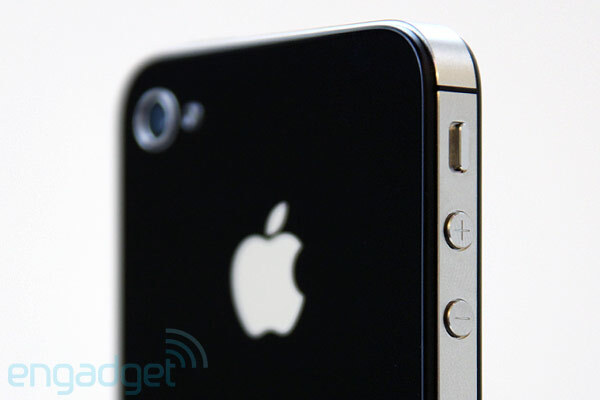 That notably puts Apple back ahead of Samsung, which sold a total of 35 million smartphones in its most recent quarter. And as if that wasn’t enough, Apple’s Tim Cook also said on the company’s earnings call that it could have sold even more if it had more supply. iPad sales also set a new record with 15.43 million units sold during the quarter, which is a 111 percent jump from the 7.3 million sold a year ago, and a 39 percent increase from the 11.1 million moved in Q4 2011. Once again, however, iPods are the one category that continues to decline in the face of the growth of smartphones. Apple sold a total of 15.4 million iPods — over half of which were iPod touches — which represents a 21 percent decline from the 19.4 million sold a year ago. The holiday shopping season did boost sales considerably from the 6.6 million sold in the previous quarter, though. Mac sales were also on the upswing, totaling 5.2 million units — a 26 percent increase year-over-year. Breaking things down further, that translates to 1.48 million desktops (including iMac, Mac Mini and Mac Pro), and 3.7 million laptops (including the basic MacBook, MacBook Air and MacBook Pro). As for the company’s “h! obby,” t he Apple TV, it rang up 1.4 million in sales for the quarter, and 2.8 million for the 2011 fiscal year. 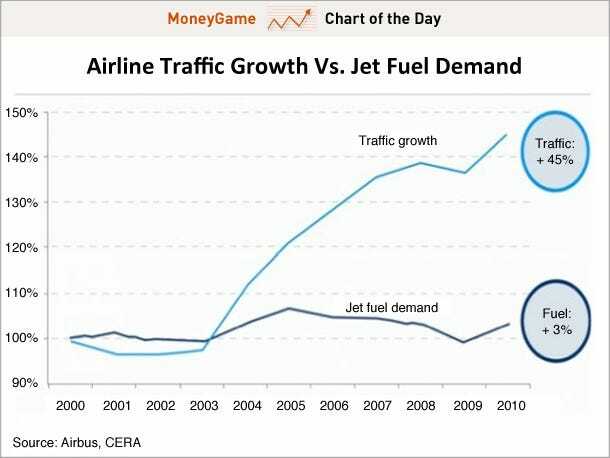 Fans of charts can get their fix after the break. Apple’s Q1 hardware sales: 37 million iPhones, 15.43 million iPads, 5.2 million Macs, 15.4 million iPods originally appeared on Engadget on Tue, 24 Jan 2012 17:30:00 EDT. Please see our terms for use of feeds. It seems you can’t follow the tech industry today without being bombarded with reports heralding the impending death of television as we know it. While we believe the television model will eventually be disrupted, there’s no evidence of any imminent collapse. Instead, the likely scenario is of a very slow decline, with TV remaining an amazingly large and profitable business for many many years to come. A new survey from Deloitte indicates viewers are engaging with that model in new ways, with bad implications for the network’s ad sales. 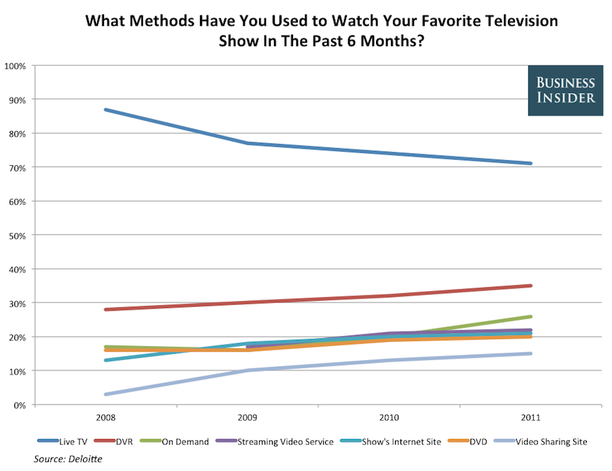 When asked how they watched their favorite show, 71% of respondents chose live TV, down from 87% three years ago. Some of the biggest winners? DVR, on demand, and the show’s internet site. What does it mean? Consumers are wising up that you’re no longer chained to a show’s air date and if you have the patience to wait 30 minutes you can skip all the ads. The real big problem, however, is that these are engaged consumers with intent. In other words, exactly the kind of people advertisers want to be reaching. 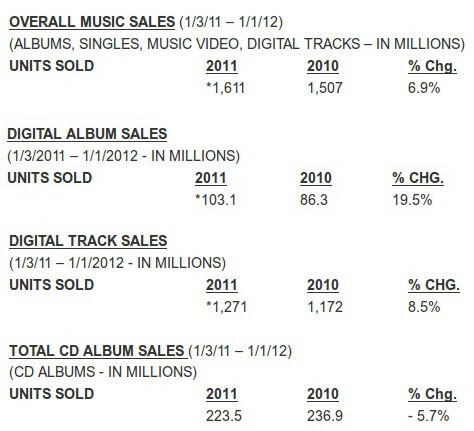 That sharp sucking of air you heard at the end of 2010, well, that was the record industry wincing as sales of CDs continued to tumble while digital media sales remained flat. The relieved exhale that you just heard echoing through the atmosphere? That was the collective sigh of executives who just picked up the latest Nielsen report indicating that digital music sales are on the rise again and, for the first time ever, have finally surpassed physical media. Sales as a whole were up, but while CDs were down 5.7 percent, digital track sales were up 8.4 percent and digital albums a stunning 19.5 percent (perhaps most interestingly, though, vinyl was up over 36 percent). CDs still outsell virtual albums by a factor of two, but it’s clear the trend toward binary media is back on track. It may be a narrow victory but, with 50.3 percent of the market, audio files are new king of the hill. Check out the full report at the source. Digital music finally outsells physical media, books look on in alarm originally appeared on Engadget on Thu, 05 Jan 2012 18:02:00 EDT. Please see our terms for use of feeds. Later tonight Adobe Flash 11 and AIR 3 will hit the tubes delivering with it a host of new features, including hardware acceleration for 2D and 3D graphics — at least for desktops. Stage 3D support will be added to the mobile variants for Android, iOS and BlackBerry at a later date. AIR 3 will also be sprucing up connected entertainment devices, like Samsung SmartTVs, with the ability to deliver Flash-based games and content to your home theater system. What’s more, Adobe has baked in support for both Dolby Digital and DTS surround sound. That means both 5.1 and 7.1 sound can be built into an AIR app, whether it be a game or streaming video, and pumped out at up to 512Kbps though your Blu-ray player or other connected theater component. For more, including a demo of a Flash app on a phone and a TV communicating, check out the trio of press releases and video after the break. Flash 11 and AIR 3 landing tonight and delivering 7.1 surround sound to connected home theaters originally appeared on Engadget on Mon, 03 Oct 2011 20:31:00 EDT. Please see our terms for use of feeds.